In addition to his role at WSO2, Lakmal takes on the role of Vice President of Apache Stratos. He focuses on the Cloud stragey and scalability of WSO2 products. 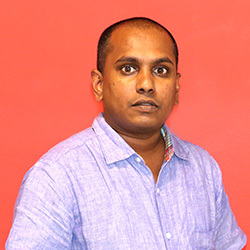 In 2005, Lakmal co-founded thinkCube, the pioneers in developing the next generation of collaborative cloud computing products that are tailored towards telecom operators. He oversaw the overall engineering process, giving special attention to scalability and service delivery of thinkCube solutions. He has presented at numerous events including ApacheCon, CloudOpen, QCon, JaxLondon, CloudExpo, KubeCon, Cloudstack Collaboration Conference, WSO2Con and many tech meetups.